Motherson Group was founded in the year by 1975 and later developed as Samvardhana Motherson Group . The industry type is automotive rear view mirrors in the world. Molded components and modules, Gear cutting tools in India and more .Since it is a group,we can able to find more companies.IT and design departments are also available. *On the top of the indian company home page choose “contact us”. 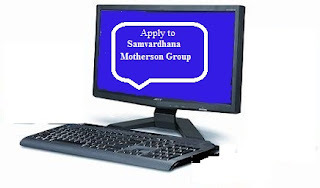 *In the careers page,you can submit online or can be send through mail at “openings@motherson.com”.